Yes, I find bone puns humerus. Bone broth are super healthy. They are extraordinarily rich in protein, and can be a source of minerals as well. Glycine supports the bodies detoxification process and is used in the synthesis of hemoglobin, bile salts and other naturally-occurring chemicals within the body. Glycine also supports digestion and the secretion of gastric acids. Proline, especially when paired with vitamin C, supports good skin health. Bone broths are also rich in gelatin which may support skin health. Gelatin also support digestive health as well. And, lastly, if you’ve ever wondering why chicken soup is good for a cold, there’s science behind that, too. Chicken broth inhibits neutrophil migration; that is, it helps mitigate the side effects of colds, flus and upper respiratory infections.Not too bad, huh? 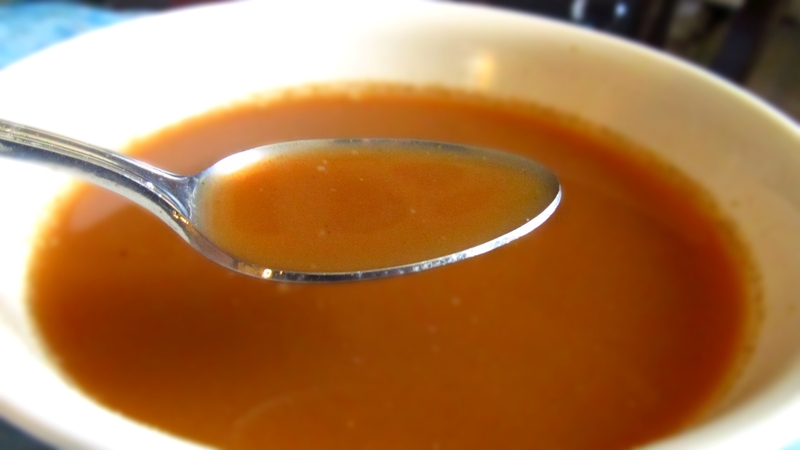 This isn’t your grandma’s broth though… listen. 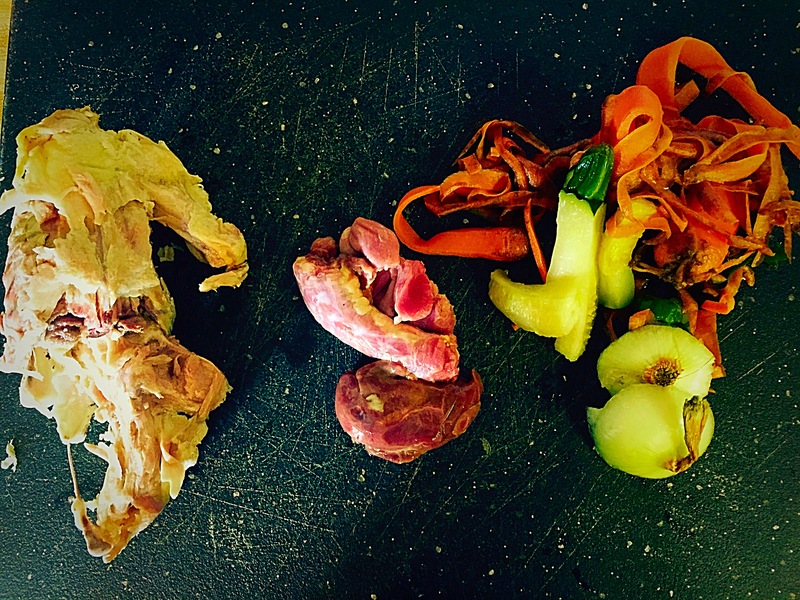 When I make a roast chicken, I save the giblets and carcass (for lack of better words) and keep in in the freezer. When I’m chopping up carrots, celery, zucchini, onions, etc., I always save the scraps in the freezer as well. When the time comes, use the scraps from your leftover meals, and make this healthy bone broth in the crockpot. Avoid potato peels and scraps, because it is so starchy, it gives the broth a weird texture. Add the scraps and chicken scraps into a crock pot, they can still be frozen, it’s ok.
Add water to the crock pot until the scraps are covered. Leave crock pot on low for 12+ hours, up to 24 hours. Strain liquid through a mesh colander, so that it catches the little chicken bones. Put in freezer containers and freeze for future use. ← I’ll give you something to taco ’bout. Shredded chicken tacos in a crockpot.